First-time house buyers in Coventry could start the New Year in a brand new Bovis Home without facing the struggle of finding prohibitively high deposits. Using the Government's FirstBuy scheme at Spirit Quarters, a new community located less than five miles from the city centre, a new buyer could get themselves on the housing ladder in 2012 with a deposit of less than £5,000. "Spirit Quarters is an exciting new development in Coventry with attractive parkland and the River Sowe running close by," said Regional Sales Director Alison Tindle. "It offers a great opportunity for local people who have decided to make 2012 the year that they move into their new home. FirstBuy allows the purchaser to buy a new home with just a 5% deposit and a 75% mortgage - with the Government's Homes and Communities Agency (HCA) and Bovis Homes jointly providing the other 20% as an equity loan. First-time buyers can qualify if their household earnings are less than £60,000. At Spirit Quarters that means that a two-bed apartment at Parkland Court priced at £89,995 would need a deposit of just £4,500 - and a mortgage of £67,500. Each apartment comes with a fitted kitchen including stainless steel oven hob and hood, an open plan sitting room with dining area, and contemporary bathroom. Alternatively, if the buyer opted for the stylish two bedroom home, 'The Conrad', with fitted kitchen and dining area, downstairs cloakroom, sitting room and fitted wardrobes to both bedrooms, they would need a deposit of only £5,750 and a mortgage of £86,246. "These are ideal properties for young couples or single people who have decided that 2012 is the year for them to become homeowners," said Alison. "High deposits have been identified as a major factor in preventing people getting on the property ladder but Bovis Homes have looked to buck that trend. "FirstBuy offers a superb opportunity to snap up these lovely homes with a lower deposit and an attractive mortgage proposition." Over the next 14 years more than 3,000 new homes will be built at Spirit Quarters by a consortium including Bovis Homes, Westbury and Keepmoat, with the support of the Homes and Communities Agency (the national housing and regeneration agency for England), Whitefriars Housing Group, the city council and New Deal for Communities. The new community covers sites at Wood End, Henley Green, Deedmore and Manor Farm. 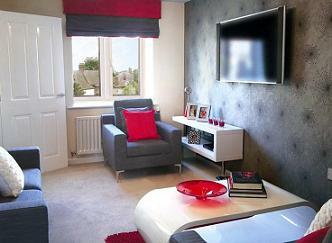 For more information about Spirit Quarters, call 02476 010019 and for more on FirstBuy visit www.bovishomes.co.uk/firstbuy.